The Ring of Trees Walk was developed to help visitors navigate the BCA woodlands, enjoy these hidden tranquil spots and investigate the natural habitat within them. 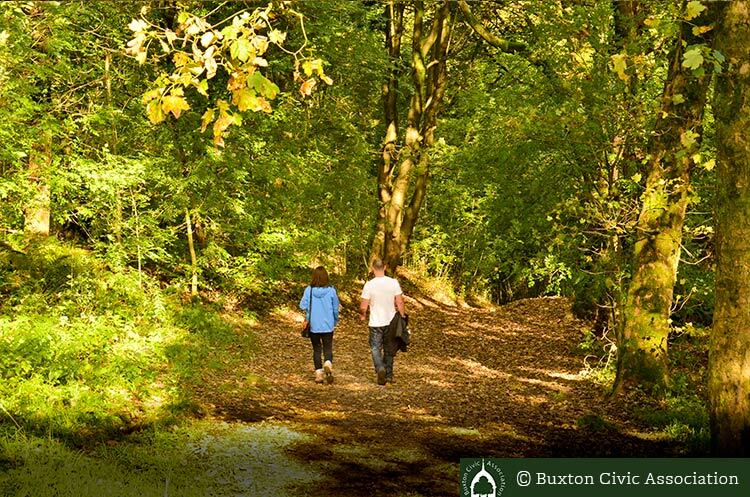 The circular walk around Buxton through its woodlands consists of a 10 mile (16km) walk passing through most of the woods that surround Buxton. Because its so convenient to the town you can escape and whenever you like. What can BCA Woodlands offer you? You can spend a day completing the entire walk and gain an ever changing perspective of the town from its woods. Or pick a bite sized chunk of the circle, covering one or more woods, choosing a direction and a starting point that suits the time you have available and your particular interests. Take a look at our map or start at Poole’s Cavern to collect your own copy of the map. Here you can find out more on what BCA has to offer and even join us as a member! Follow the links to our activity ideas. We want all of our visitors to enjoy the space that we’ve protected and to share their adventures with us. Take pictures and share with your friends – let us know if you have any new ideas or would like to get involved in BCA events? Adventures in the Woodlands – take up a challenge? 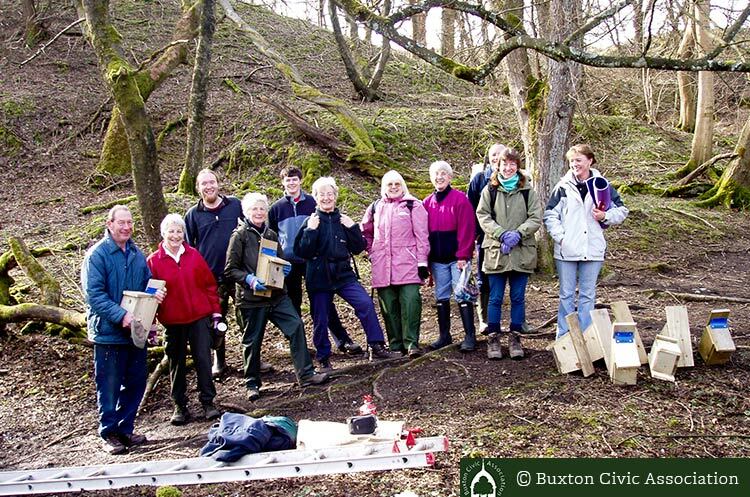 Explore BCA Woodlands see what you can discover – Discovered something new let us know about it? 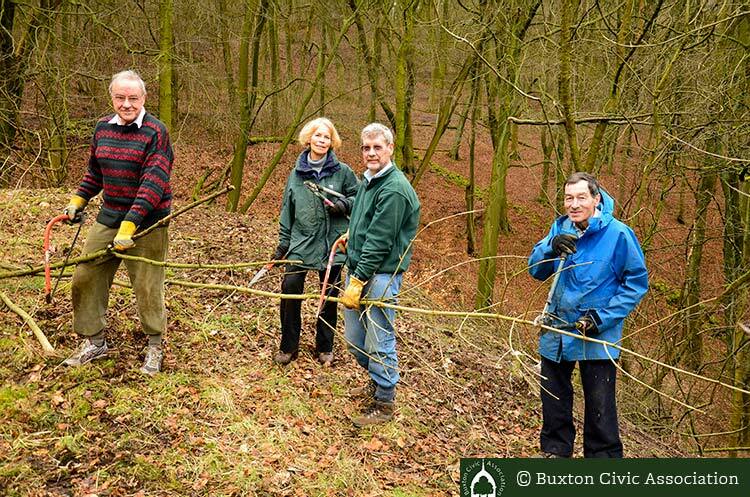 The Woodland group is dedicated to maintaining the land for all to benefit. We love to invite groups along to investigate the many species of flora and fauna that the landscape has to offer. There are nine woods of differing character and sizes, reflecting the Geology and the Industrial past of the town and its surroundings. They were mostly planted by the Duke of Devonshire in the Nineteenth Century and some were designed to hide the scars from lime burning and mineral extraction, so as to enhance the Duke’s plans to turn Buxton into the Bath Spa of the north. They range in size from Grin Low at just over 40 hectares to the smallest, Wye Head at 0.51 hectares. The woods contain over 50 kilometres of managed and maintained footpath for anyone to walk on and explore. Grin Low Wood contains several Sites of Special Scientific Interest and is famous for its beautiful wild flower glades. You can read about them in our Wild Flower Guide, The Wild Flowers of Grin Low Country Park. The woods have been acquired by the Buxton Civic Association over a number of years. Grin Low and Corbar Woods were acquired in 1970 and the latest additions to the Estate, including Hogshaw and Ashwood Dale, were acquired in 1992. All the woods are open to everyone. All our woods are dog friendly. All we ask for is that you respect other users of the woodlands. 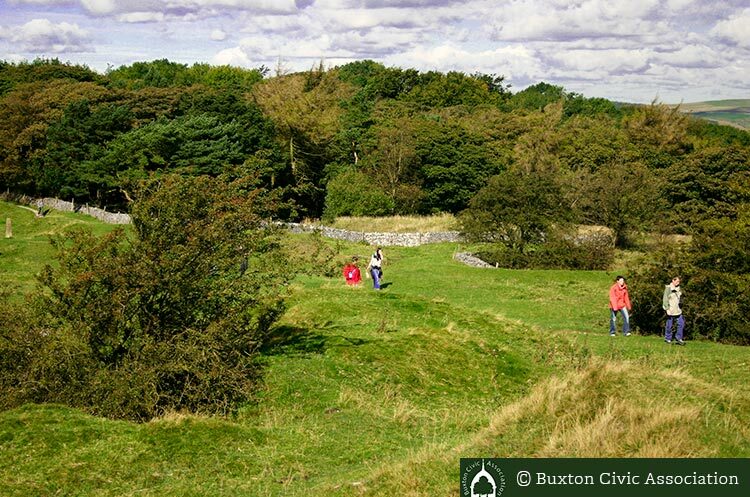 Our nine woods contain several different species of trees, of which Beech, Sycamore and Ash are the dominant species. The woods are home to a number of species of woodland birds, including Sparrow hawks, Pied Fly Catchers and Lesser Spotted Wood Pecker. We have created a walk “The Ring of Trees” which takes you on a circular route through our woods. The walk is 19.3 kilometres in length and can be broken down into small sections. The Walk is available as a Guide from Poole’s Cavern Visitor Centre.